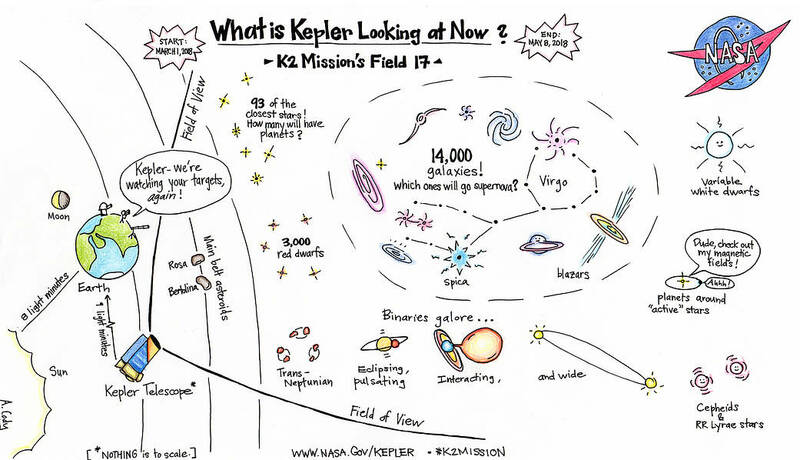 The data collecting phase of the Kepler Mission ended in 2013 with the failure of a second reaction wheel that prevented aiming the telescope at it's target field in the Cygnus-Lyra area of the sky (see Mission Manager updates for July 3 and August 19, 2013). Kepler scientists and engineers then devised a ingenious way to accurately point the telescope to areas of the sky along the ecliptic (in the plane of Earth's orbit) leading to the K2 Mission. 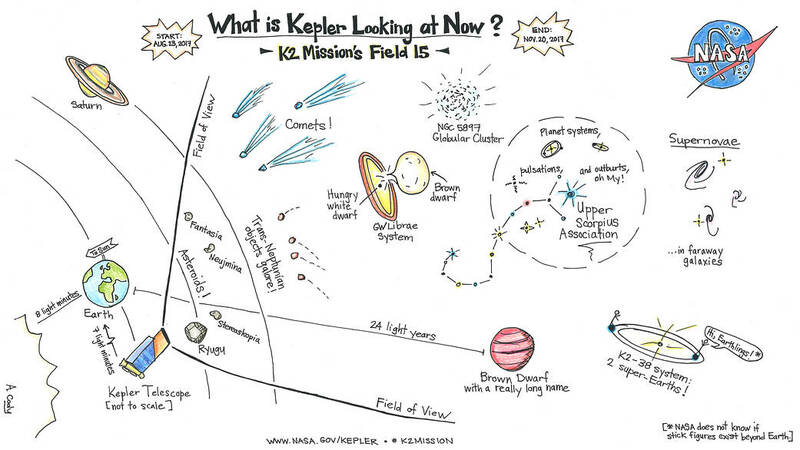 See Kepler's Second Light: How K2 Will Work. The Kepler telescope began collecting data for the first K2 observing campaign in May of 2014, targeting not only stars to find orbiting exoplanets but star clusters, galaxies, nebulae, and other objects of interest for astronomers to see minuscule changes in brightness with unparalleled precision. 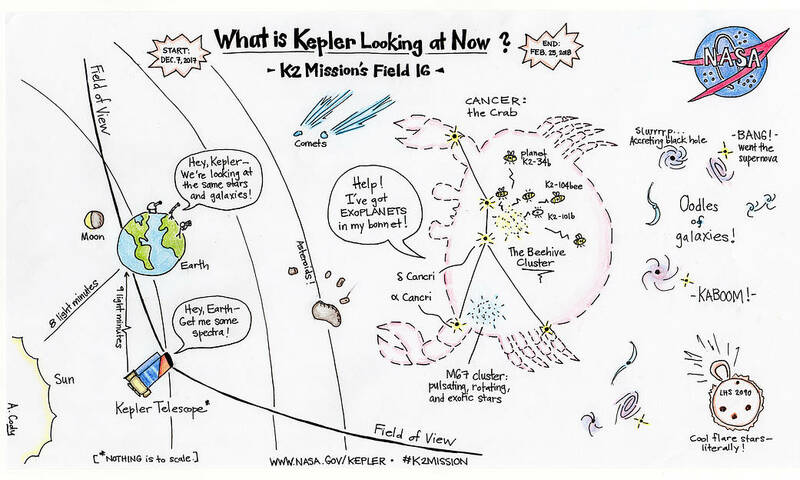 Artwork below by K2 support scientist Ann Marie Cody shows the types of target objects being observed in recent campaigns.